Our Michigan neurologist malpractice lawyers at Buckfire & Buckfire, P.C. handle lawsuits against neurologists. 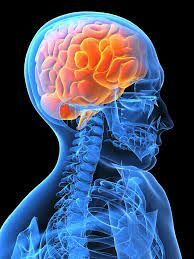 A neurologist is a medical doctor who specializes in the study, diagnosis and treatment of injury and diseases of the nervous system. This includes the brain, spinal cord, muscles and nerves throughout the body. A neurologist helps identify the source of problems with a patient’s nervous system, which could include the inability to use the senses correctly and the inability to perform normal motor functions. Neurologists examine issues with balance, reflexes, and muscle strength and try to identify the source of disorders of the brain such as loss of memory, speech and abstract thought. There is a significant amount of training required to become a board certified neurologist. However, there are occasions when patients suffer injuries due to a neurologist malpractice. In these situations, the injured patient may have neurologist malpractice lawsuit. If you would like more information about your legal rights due to a medical mistake, you can order our FREE book, "The Ultimate Michigan Medical Malpractice Handbook," by Lawrence J. Buckfire. The book is an insider's report on medical malpractice claims and includes why most malpractice victims never receive compensation for their injuries. Our book sells for $14.95 on Amazon but Lawrence will send it to you for FREE! Our experienced Michigan medical malpractice lawyers handle cases for victims of malpractice against neurologists. Patients injured or harmed due to medical mistakes by a neurologist should contact the Michigan medical malpractice firm of Buckfire & Buckfire, P.C. Call us now at (800) 606-1717 to speak with one of our experienced attorneys about your case.